Exactly 21 years ago today, at 12:34 in the afternoon, Alisa Ruth arrived on the scene two weeks before anyone expected her, the first-born child of my sister and her husband. With her first breath, she officially gave me the title of aunt, which is a wondrous title indeed. From 600 miles away, I got the joyful phone call from my brother-in-law. “She’s here! She’s lovely! She’s wondrous! She’s a miracle!” I talked to my sister for just a few minutes. Already she was in the rocking chair, nursing her firstborn. My sister is a mother. Her husband is a father. I am an aunt. A new baby IS! We celebrate! What is it about new life that is so entirely overwhelming? So utterly breathtaking? So infinitely miraculous? Technically, it’s just another person, on a smaller and less-advanced scale, that for at least a few moments is quite wrinkled, crinkled, slimy, mewling, and flailingly awkward. Anyone who has either given birth or been present at a birth knows this to be true; true but of no consequence because a child lives; breathes; is. Newborns are my spiritual grounding point. If ever there are doubts about God’s existence or questions about God’s presence or confusion about God’s power or worries about God’s providence, there is this to fall back on: new life; babes; the first breath of being. For all of our human progress and advancement and development, we cannot create new life; we cannot knit together a new soul; we cannot bestow the breath of being. Ever. This is definitely not of our own making. This is certainly not of nothing’s making. This is of God’s making. And so in my family that day, there was joy. Rivers and oceans of joy. Mountains and moonscapes of joy. Joy overflowing the dancing shores of our collective selves. But less than two hours after her first breath, I answered the phone again, and this time instead of uncontained joy, I heard inconsolable grief – sobbing, speechless, overwhelming grief. Trisomy 21. Down’s Syndrome. Heart condition. These words, and others I don’t remember, spilled out from rivers and oceans of grief, mountains and moonscapes of fear, despair overwhelming the battered shores of first-time parents. Already, nurses were gently lifting Alisa Ruth out from her mother’s arms, towards a NICU that would be her home for the next several weeks. 600 miles feels like from here to eternity when it separates you from your sister and your newly arrived niece who is unexpectedly more beloved and precious than she was just moments ago. They told me that my sister sobbed; that my brother-in-law went blank. I know that the tears and the emptiness, at their very core, were not primarily about Trisomy 21 and Down’s Syndrome as much as they were about having held and adored their daughter for what must have seemed like mere seconds before she was whisked away, out the room, down a hall, into a Unit. In a split second, all has changed. Alisa Ruth of K-12, senior prom, marriage, motherhood is gone. But Alisa Ruth herself is still here – a miracle indeed. Those first few days were a painful muddle for me – the aunt, 600 miles away. For my sister and her husband…I cannot imagine. So many painful questions. So many difficult decisions. So many things to learn. So much responsibility to shoulder. Alisa’s heart – the physical one – was not healthy. She needed surgery soon, and would need more as she grew. But other than that, she was a wonder. In a NICU filled with dangerously premature underdeveloped children, she looked misplaced, so big and strong was she. When I held her in my arms the first time – 600 miles are but a small skip when a niece awaits – she took my breath away. Fearfully and wonderfully made she absolutely was. As so often happens when difficulty explodes into the very center of life, neighbors brought food. Friends ran errands. Relatives wrapped strength and hope and joy around the family-now-of-three. Hope settled over the land of home-and-work-and-hospital, hope that spilled directly from the fount of Christ’s love. At one week old, Alisa had heart surgery that went very well. The doctor was confident and reassuring. At two weeks old, she was recovering and gaining strength. At three weeks old, things took a sharp turn. Sometime during those very difficult days, someone said to my brother-in-law: “But didn’t you know she had Down Syndrome beforehand?” implying (even just writing these words makes my soul rage) that if they’d known beforehand they could have done something about it beforehand and avoided all this pain and heartache. Silence, you! Do. Not. Speak. Be silent! BE SILENT! You speak the words of a fool! Avoiding pain and heartache is not the point. Avoiding pain and heartache is less than living. Avoiding pain and heartache is for people who run from all that matters. Life is pain and heartache. Love is pain and heartache. Joy is pain and heartache. The cross is pain and heartache. How dare anyone suggest that avoiding pain and heartache is worth the price of a life. Did God plan this? Allow this? Will this? I do not know. Is He here? Watching? Caring? Holding tightly? I do know – yes. Always yes. At four weeks old, Alisa was still fighting with all the strength and courage she had. Valiantly. Bravely. The nurses said so. My sister told me so. I know it is so. I do not doubt that in every breath she took, the Spirit’s strength poured through her soul. 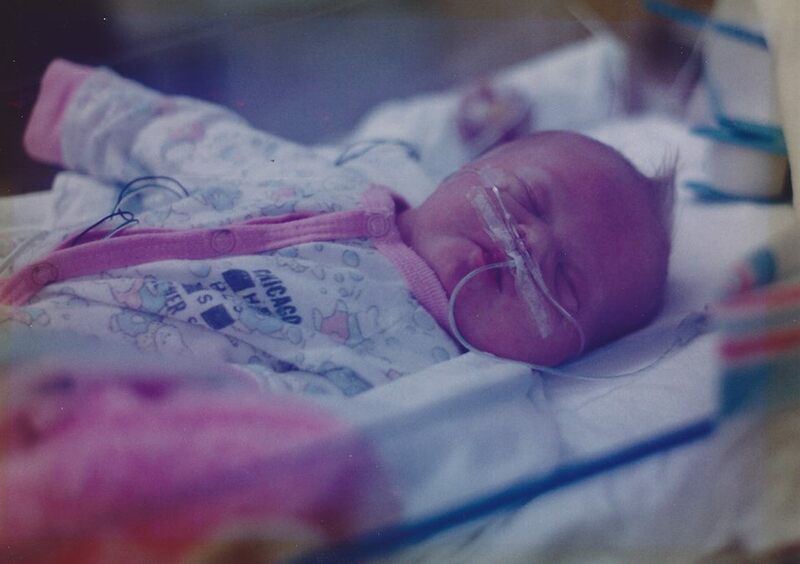 At four weeks old and a day, after fighting as hard as she could, Alisa’s strength was gone. She breathed her last breath in her parents’ arms, right where she belonged. I was not there, but I have watched that moment many times over in my mind. I see my sister and her husband more broken than I can imagine, but also more firmly held in the arms of God than I can comprehend. Just a few years ago, my sister said to me, “Yesterday was the first time I didn’t think about her at least once.” I was stunned. How could I not have known that even after 10, 12, 15, 17 years, her first child still fills her heart? Just last year, my brother-in-law said, “After 20 years, it still hurts, but it stings less.” I was silenced. How could I not have known that even after 10, 12, 15, 17, 20 years, his first child’s short life was still very real? A mother’s love is extraordinary. It’s okay to scream at God. He can take it. Tell your children “I love you” every chance you get, even if you aren’t feeling it. Mother’s Day and Father’s Day can be very cruel holidays. If a friend is going through something tough, don’t ask what you can do. Just pick something and do it. Family and friends are important. They’ll be there when you need them. Keep those relationships healthy. Dwell on the positive. Dwelling on the negative just sets you up for more negative. I can’t choose what circumstances come along in life, but I can choose how I will respond to them. Today is Alisa Ruth’s birthday. She would have been 21. She would have been a wonder. She was a wonder. By God’s infinite love and grace, she is a wonder. I celebrate you, sweet niece, over and over and over again. *But as for me, how good it is to be near God! loving tribute. beautiful Alisa Ruth. 21 and resting in the arms of her heavenly Father. Resting indeed – the loss is felt entirely on earth, by her family and friends. The gain is all hers.